Jonathan Cahn has created a frenzy with his best-selling book, The Harbinger. 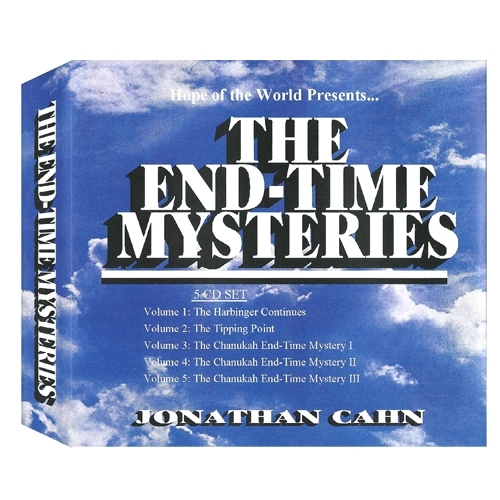 Now he's released a series of new studies that explore even more amazing Hebraic mysteries. Over the years Jonathan produced over 1,700 Bible studies BEFORE The Harbinger and here's one of his best studies, exploring the Mysteries of Chanukah along with new updates on the controversy behind the worldwide phenomenon that has become The Harbinger. This is the latest material on the controversial subject. This Audio CD includes 5 of Jonathan's best studies on these subjects and even more.